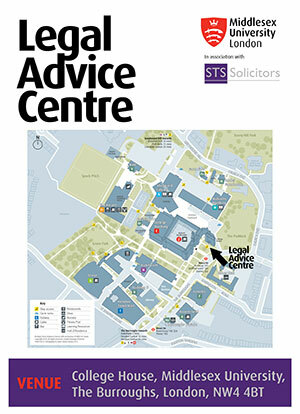 The School of Law has its own Legal Advice Centre (LAC) on the Hendon campus in London. Since 2014, the LAC has offered free assistance to Barnet residents and members of the University every week during term time. Recently, we expanded the LAC’s provision by including advice on the potential effects of Brexit on immigration status. 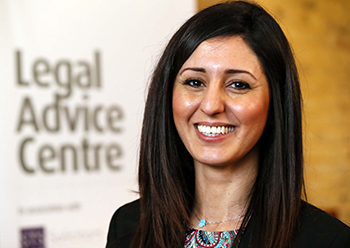 Husniye Sera Ustek-Bazen, a graduate of the School of Law, Principal of STS Solicitors in Hendon and a member of academic staff, heads the LAC. She supervises a team of senior students from Middlesex in running the centre. With her substantial experience of pro bono legal work, as well as managing a growing local practice, Husniye is the ideal person to take this initiative forward. The LAC offers one-to-one confidential advice on a number of legal areas including housing, welfare and benefits, family, children, domestic violence, wills and probate, debt and bankruptcy, and employment. A team of Middlesex Law students, who have received training to work in the LAC, staff and operate a system for making appointments and conduct initial interviews with clients before they meet with Husniye. "It's important that students know what's expected of them in their future careers and have had dealings with real-life clients and issues. If students are serious about going into law then working at pro bono advice clinics is crucial because it gives you confidence. Not to mention that when you go into interviews after you graduate you'll stand a better chance than the next person who hasn't got that experience." 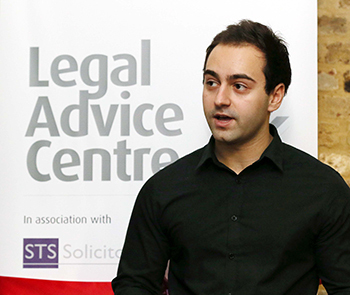 Middlesex graduate Joseph is currently studying for a master's in medical law, spells out the benefits of working at the LAC and other pro bono clinics. "Employers are becoming increasingly concerned with work experience and Middlesex is perfect for that because, if you're willing to do well, they will help you as much as they can to get the relevant experience," he explains. "If you show that you're keen, opportunities will start coming to you." During his time at Middlesex, Joseph was also a Student Learning Advisor, acted as a Legal Research Assistant for Senior Lecturer Elliot Schatzberger, and completed a mini-pupillage at 36 Bedford Row. 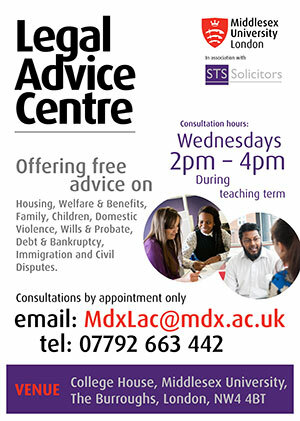 To book an appointment at the LAC, please email MDXLac@mdx.ac.uk or call 07792663442.